Pharmaceutical sales companies have had their share of struggles in recent years and their struggles directly affect pharmaceutical sales representatives. Mobile technology, healthcare reform and global economic issues have left pharmaceutical sales recruiters in a tight spot. However, analysts believe there is a bright future for those looking for pharmaceutical sales jobs, and the number of jobs currently listed on MedReps.com would support that idea. What you might not expect is the source of the projected lift . . . our parents. 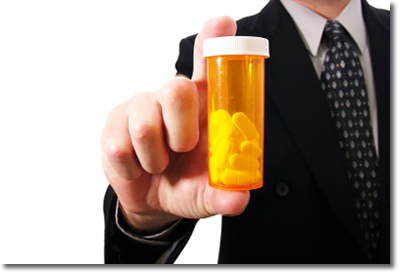 Like most things, pharmaceutical sales reps are subject to the needs of the population. If there isn't a growing or continuing demand for the drugs being created, there's no need for recruiters to court pharma sales reps. That's where our parents and grandparents become a vital variable in the formula. The population of Americans ages 65 and up is expected to nearly double in the next decade. Some estimates suggest 70 million people will reach 65 and over by 2030. That's a a rather large demographic who would help pharma sales jobs continue the upward momentum through increased demand. Just look at the FDA's "Spotlight on Drug Innovation" to see the massive volume of pharmaceuticals approved in 2011. From high blood pressure to serious heart conditions, pharmaceutical sales recruiters will tell you that the 65 and up crowd makes up the majority of of the FDA's consumers. We should all be so lucky to live well into our twilight years. Fortunately, we live in a time where pharmaceutical research and development does a good job of keeping pace with the needs of our elders. To put it simply, pharmaceutical companies help provide longevity. Move your pharma sales career forward. Look to MedReps to find pharmaceutical sales jobs, pharmaceutical marketing jobs, or pharmaceutical management jobs. But you don't have to limit yourself. Check out other roles, like dental sales jobs or medical equipment sales. In fact, we've seen an increase in biotech sales jobs looking for prior pharma sales experience. If you need help pulling it all together, you should look into our pharmaceutical sales resume service. Our team of experienced medical sales recruiters know what works. "I was new to Medreps.com when I purchased a 3 months membership. The recruiter who found me, Cheryl Merlino, was absolutely fantastic through the whole process. I was able to land a fantastic job thru Medreps.com in 2 and a half months. I start on March 5th at Noven Pharmaceuticals as a Senior District Manager. Your site definitely has the best quality postings with the best response rates I've seen!" Visit the MedReps Career Center to keep up with pharmaceutical company news, online job search tips and more sales career focused research.